Josephine Gordon will switch her liabilities from the flat scene to over obstacles, for the first time as she rides in a hurdle race at Lingfield, this afternoon. She will ride Shalamzar for Philip McEntee in the 14:20 GMT starsports.bet Handicap Hurdle, a race which is the annual chance for Flat jockeys - like Gordon, to indulge their Cheltenham Festival dreams and ride over hurdles. Rivals Charlie Bishop, John Fahy and Kieran O'Neill have all had a go in this race before, whereas Gordon will be having her first ride over timber in public. 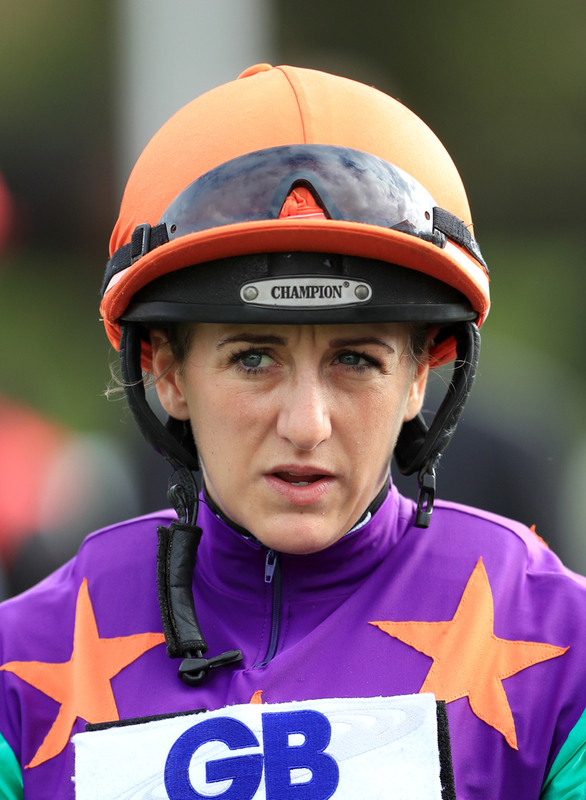 (Credit: Racing Post) She said: "I've wanted to do it in each of the last two years but first there was the apprentice title and then I was getting big rides. "This year hasn't gone quite as brilliantly so I thought I'd do it for a bit of fun and now it's here, I'm looking forward to it. "I jumped him on Monday morning with a few of Amy Murphy's horses and had Jack Quinlan looking after me so that's a couple of times I've schooled him now." Shalamzar was beaten 18 lengths on his most recent start at Huntingdon and is likely to be among the outsiders, but Gordon will not accept defeat so easily. She said: "Mr McEntee got the horse straight in when I mentioned I wanted to do it. He won't be among the favourites but it's a bit of fun and if he nicks a place, all the better."